At Glyndebourne Festival 2018 we celebrated the designs of Art Deco artist Erté with a dedicated exhibition. 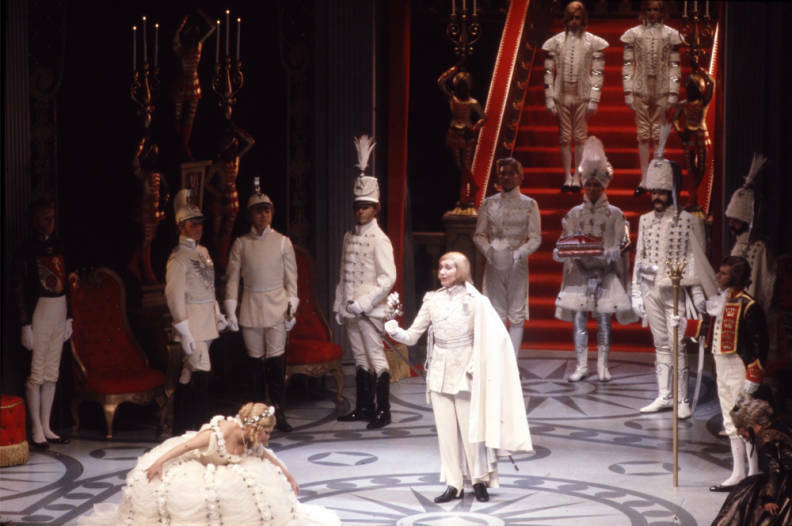 The original set and costume designs created for the 1980 production of Der Rosenkavalier were on display. The exhibition is complemented by an exclusive range of limited edition products from the Glyndebourne Shop. 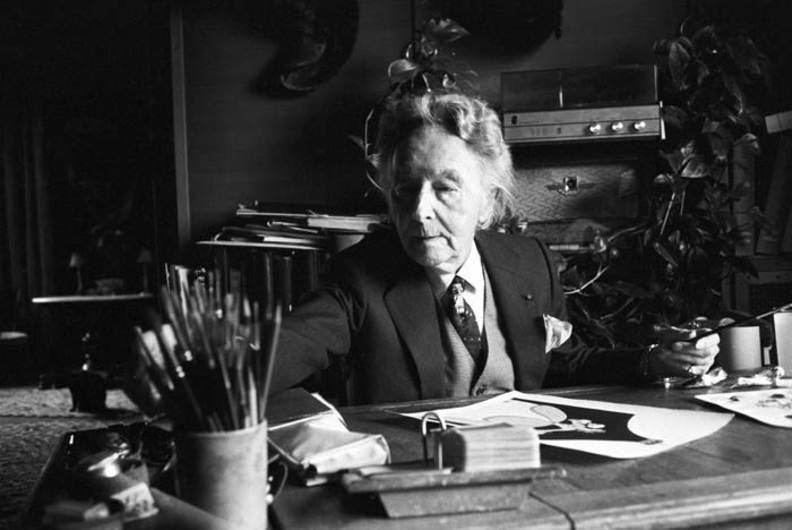 Romain de Tirtoff (1892-1990) was a Russian-born French artist and designer whose pseudonym comes from the French pronunciation of the letters of his initials. Over his long career, he worked in fashion, jewellery, graphic arts, costume and set design for films, theatre and opera. Erté is one of the most influential designers of the 20th century. So when Glyndebourne unveiled the designs the artist had created for its 1980 production of Richard Strauss’s Der Rosenkavalier, it was considered a tremendous coup. The production starred English soprano Felicity Lott in the role of Octavian, and she returned to the part for a revival in 1982. 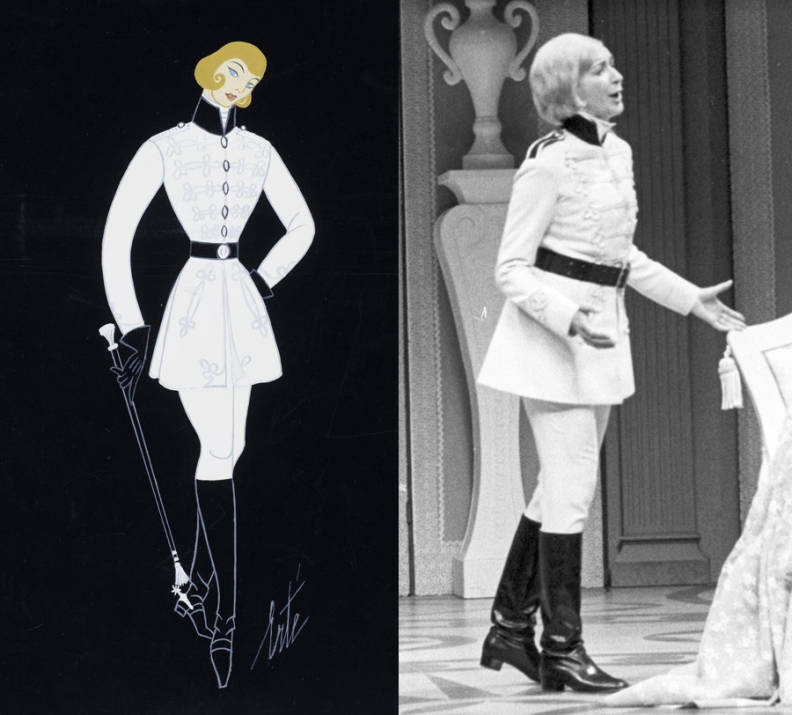 Left: Erté’s costume design for Octavian © Sevenarts Ltd. Right: Felicity Lott as Octavian in the 1980 production (Photo: Guy Gravett/Glyndebourne Archive). 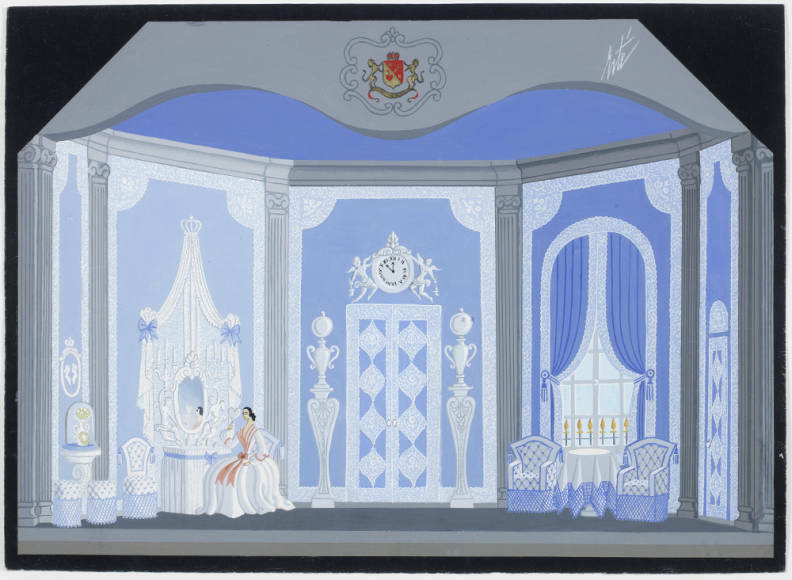 Set design for Act I – the boudoir of the Marschallin (wife of a Field Marshal). Erté’s drawing shows the moment at the very end of the act when the Marschallin, left alone, contemplates her face in the mirror. 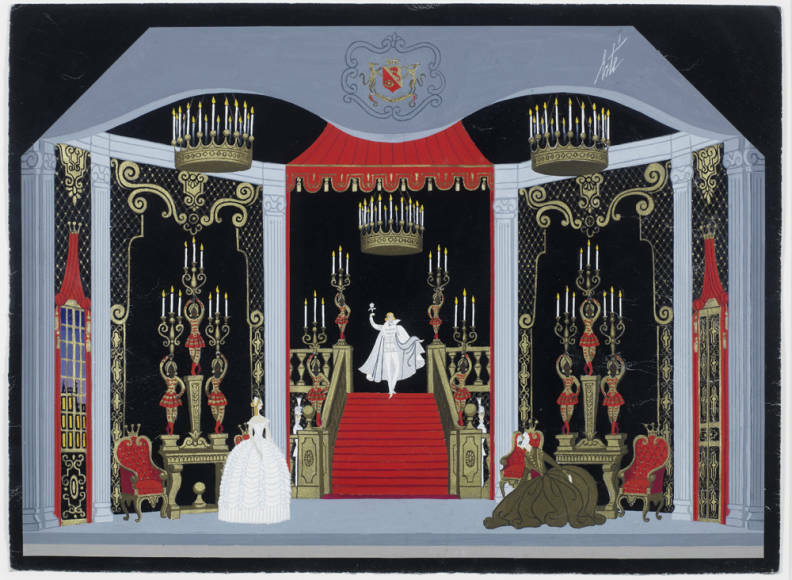 Erté’s set design for Act I © Sevenarts Ltd.
Act I scene from the 1980 production of Der Rosenkavalier (Photo: Guy Gravett/Glyndebourne Archive). Set design for the presentation of the rose in Act II – the crucial moment in the opera’s plot when Octavian and Sophie meet, and fall instantly in love. Erté’s set design for Act II © Sevenarts Ltd.
Alongside the designs, Sophie’s original costume from Act III is on display. 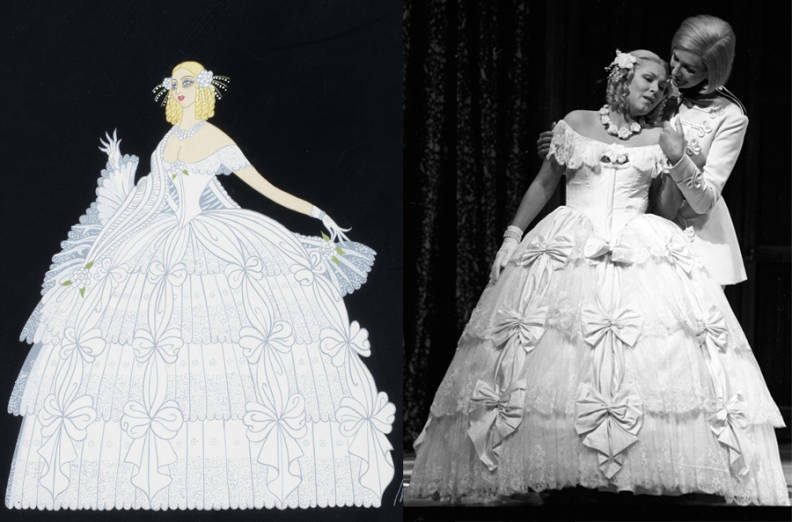 Left: Erté’s costume design for Sophie © Sevenarts Ltd. 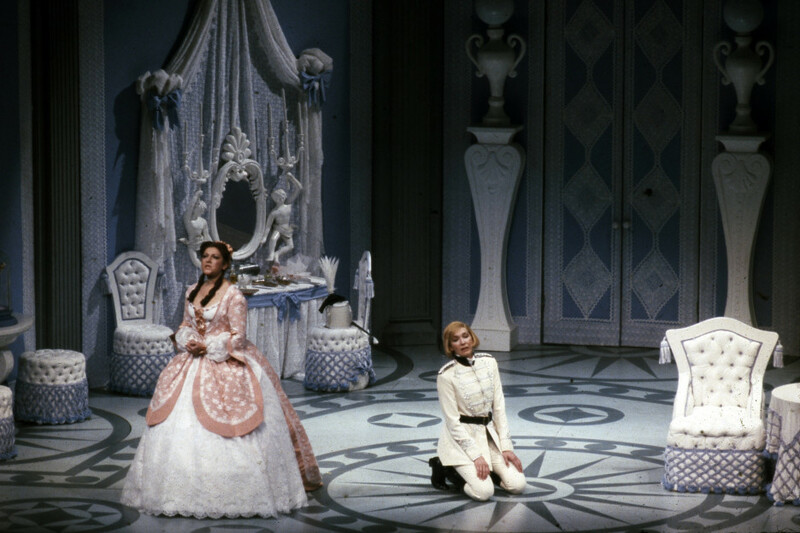 Right: Krisztina Laki (Sophie) and Felicity Lott (Octavian) in Der Rosenkavalier, 1980 (Photo: Guy Gravett/Glyndebourne Archive). ‘Erté had a very specific and sharp sense of humour. Even looking at the design for the most minor of characters, we still can’t help smiling; their facial expressions are very grotesque. ‘Although I adore Sophie’s dresses, and we will have a real dress on display too, my favourites are the personages from Act III with different masks in hands. Also, I love the little drawings of the small items such as the lantern or the Milner’s hat – such attention to the tiniest of detail! 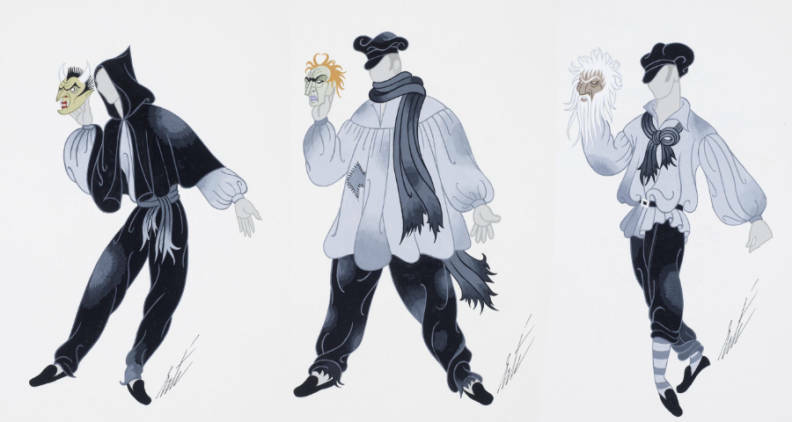 Three of Erté’s costume designs for the personages in Act III © Sevenarts Ltd. 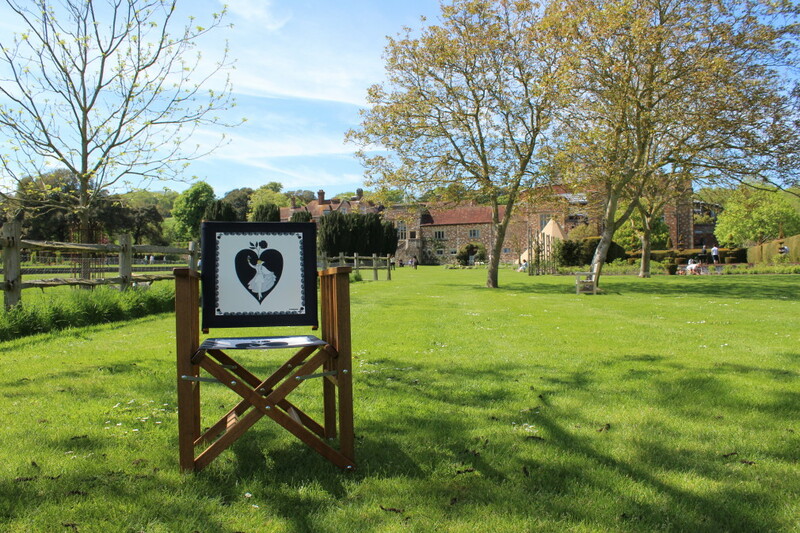 Perfect for Glyndebourne picnics, this director’s chair features one of Erté’s designs for Octavian. To accompany the exhibition, Glyndebourne Shop has produced a range of exclusive Erté-inspired items, featuring the original designs. The range includes a director’s chair, a beautifully lined silk coat, homeware and menswear. Erté enjoyed a close relationship with Harper’s Bazaar throughout his career, and was famed for his exquisite cover illustrations. 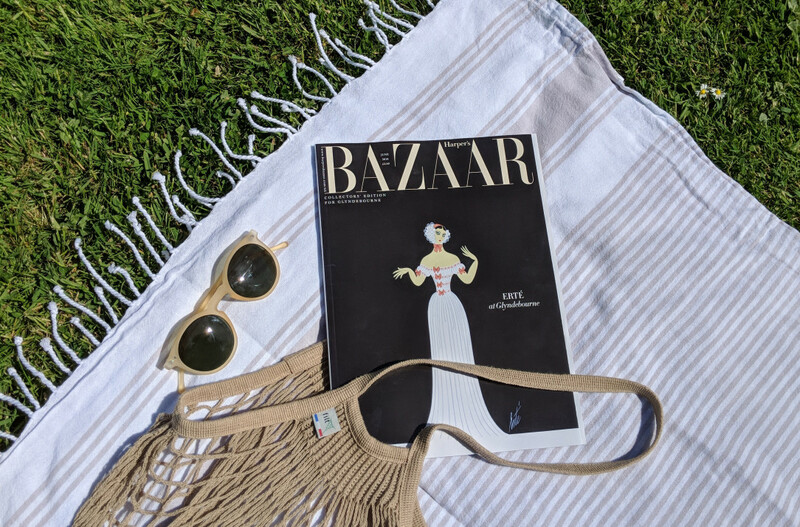 We’re delighted to continue this association, and we have partnered with Harper’s Bazaar to produce an exclusive limited edition of the June issue of the magazine with an ‘Erté at Glyndebourne’ cover. The cover features Erté’s The Marschallin’s Negligee costume design. The issue features the Erté exhibition and a piece by playwright David Hare which explores Glyndebourne’s origins. The limited edition will be on sale exclusively through the Glyndebourne Shop and box office. Richard Jones’ 2014 production of Der Rosenkavalier is revived this summer, and is on stage until 26 June. The Erté at Glyndebourne exhibition is being held at Glyndebourne’s Archive Gallery throughout Festival 2018 and is free for all ticket holders. Find out more about this summer’s exhibitions.